Unless you are top 0.01% earner, you can't possibly afford to have a piece of Herzog & de Meuron.... until now. The 2001 Pritzker Prize winners are doing an extension for Tate Modern in London. The Starchitcts were known for their sublime architecture including the remodeling of a factory in 2000 that became Tate Modern. Now 15 years later, they are building a new addition to Tate Modern in London. 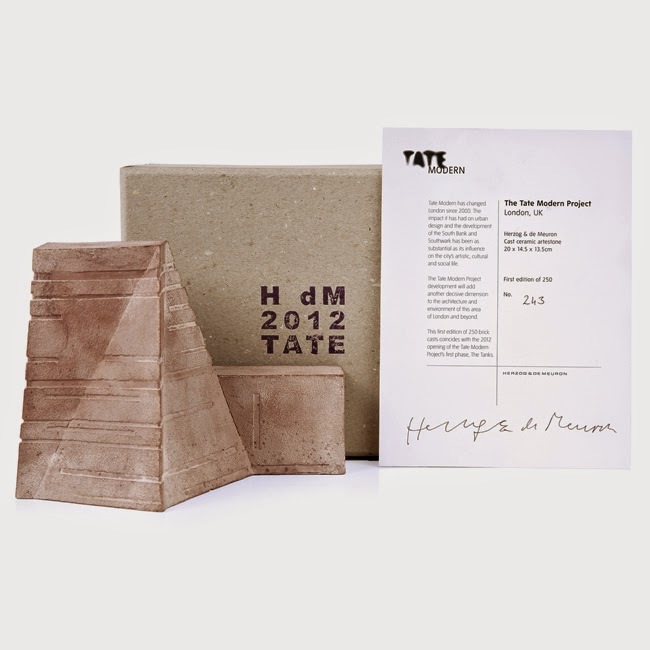 Tate shop is selling limited edition brick sculptures that are shape of Tate Modern to collectors for 1450 pounds each. While the sculptures are far cry from being affordable for everyone but they are certainly a lot cheaper than commissioning Herzog & de Meuron to design privately for one's personal projects. There are only 250 of these sculptures available. Get your while you can. The must have shoes this season!